Ah, Greece. One of the world’s top vacation destinations. What comes to your mind when you hear Greece? Mamma Mia? Chicken souvlaki with tzatziki sauce? Postcard-worthy white houses along a rugged mountain coastline surrounded by dark blue waters? All plausible answers. But the latter is the real deal. Sailing the Greek Islands are all one big photo-opp. They really do look just like the postcards – and it’s mesmerizing. 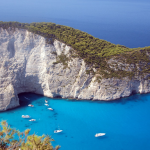 If you’ve ever wanted to set sail along the Greek Islands – read on! 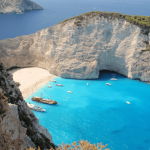 The Greek Islands are split into two main groups – the Cyclades Islands (includes Santorini and Mykonos) and the Dodecanese Islands (includes Rhodes and Kos). 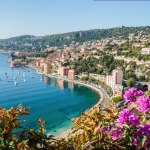 There are other beautiful sailing routes as well, including the Ionian, Sporades and Soranic Islands. 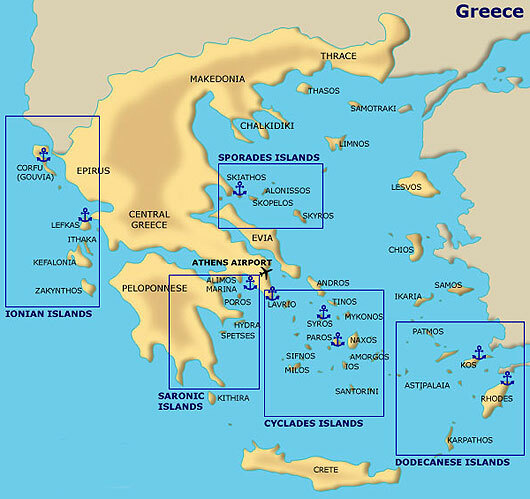 However, most sailing routes in the Greek Islands will stick to one of the two main groups. The Cyclades route offers the benefit of touching on the main picturesque islands of Greece – such as Mykonos and Santorini. If you’re a fan of the nightlife, Mykonos is definitely a place you want to visit. For more quiet comfort and bucket list hiking trails, Santorini is the place to be. Both islands can be quite crowded however. 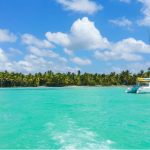 Lucky for you – you can head back to your yacht whenever you crave an escape from the hustle and bustle! Paros is another popular island on this route. It’s known for its beautiful sandy beaches and water sports, and has retained its authentic character over time. 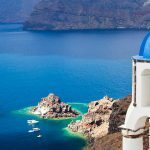 Other islands on this route include Andros, Tinos, and Kea, which are the smaller and quieter islands that have a less touristy and more authentic feel, with equally beautiful landscapes. The Dodecanese islands have a rich cultural history, with their roots still evident from years of different rulers like the Byzantium, Crusaders, Venetians and Ottomans. Medieval architecture and famous monasteries are dotted along these islands. The most popular of the group are the islands of Rhodes and Kos, known for their well-preserved medieval architecture and pristine beaches. Karpathos is also a famous island on this route, with stunning hiking trails along its picturesque mountains, and crystal clear waters. Kalymnos has become a popular rock climbing destination, Leros is a diver’s dream, and Patmos is known for its spiritual character. 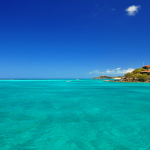 The other islands on this route are relatively smaller and more quiet, with lovely beaches, for peaceful relaxation. All the Dodecanese islands have wonderfully preserved their authentic cultures and avoided becoming overly touristy, like some of the Cyclades islands. No matter which route you decide to take of the Greek islands, you’re sure to experience rich culture and cuisine, beautiful beaches, stunning landscapes and unforgettable memories.